The City of Chestermere will be getting some four-legged help this summer controlling noxious weeds along the shore of Chestermere Lake. Starting May14 a herd of goats will be out along the north shore of the lake in the off-leash park grazing on the weeds. “We’re excited to welcome the goats, as they have done an excellent job in targeting weeds in other places,” said Parks and Recreation Manager Kathy Russell in a release on the city website. Known as target browsing, the goats will be used for three short periods of time this summer to help control weeds in areas that the city can’t spray or use other control methods for environmental factors. “There are various types of weeds in the off-leash area, some of which we cannot spray due to environmental factors,” said Russell. “We are committed to controlling these weeds in a way that is both safe and environmentally responsible,” she said. Goats are used for weed control because unlike other grazing animals such as cattle or sheep, goats prefer broadleaf plants and will eat weeds while leaving desirable grasses alone. Residents are asked to keep their distance from the herd and obey the shepherd at all times. 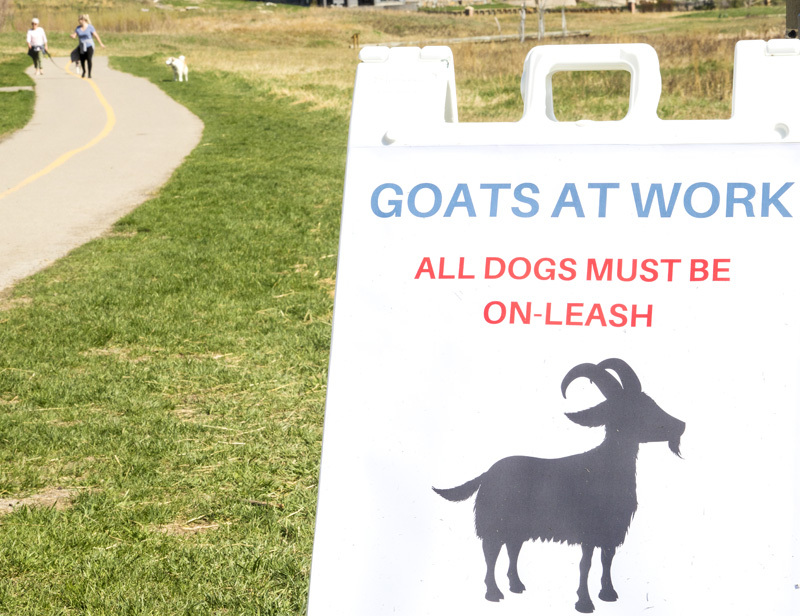 Dogs are required to be on leash, even in the off-leash park, when the goats are present. The City Parks and Recreation department is planning to host an education session for the public with the goats later this summer although no date has yet been set. For more information on the goats and the dates they will be in Chestermere go to www.chestermere.ca/goats.